Is it possible? All-new Macs before the end of the year? One of our favorite pastimes is predicting what new Mac-related goodies will be coming down the pipeline from the Apple mothership. 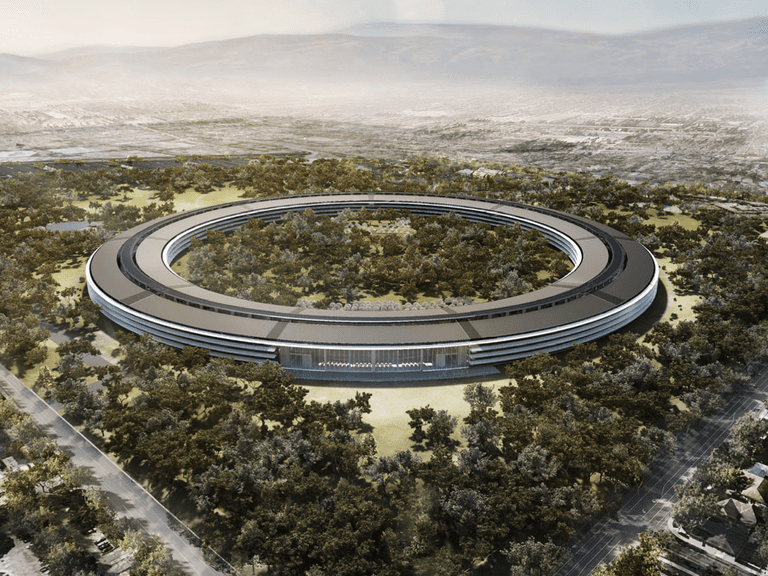 And I do mean the mothership; Apple Park (formerly known as The Spaceship Campus) is nearly filled with employees. And at the rate that Apple continues to grow it may not be long before a Spaceship the Next Generation campus begins to be planned. The Spaceship Campus nickname comes from the main building, which looks like a spaceship landed and nestled itself into the surrounding terrain. The new Steve Jobs Theater, a 1,000-seat underground auditorium tucked into one corner of the campus will be the focal point for most media events where new Apple products and services are announced. macOS Mojave moves from the Sierra Nevada mountains to the deserts of California. Already available as a public beta, Mojave should be part of the Apple's annual September media event. But just because we now know the name, version number (10.14), and most of the features incorporated into the new operating system doesn't mean there isn't room for a few rumors. One of the new features that were expected to appear in macOS Mojave as well as iOS 12 is Group FaceTime which would allow up to 32 people to participate in a video chat. Group FaceTime was included in early versions of the macOS Mojave beta, but its removal in later versions has many believing there may be some problems with the group version of FaceTime. Seems those rumors about Group FaceTime not performing well when a large number of chatters were participating were true. Apple has said the Group FaceTime won't be included in the macOS Mojave release but would roll out for all users later in the fall. If you're anxious to use Group FaceTime, you will have to wait for a macOS system update expected sometime before the and of the year. Rumors abound that Apple will release a new sub-$1000 portable Mac that will include a 12-inch Retina display. That's really all we know about this new Mac and it has us scratching our heads about which product lineup the model will be inserted into. The current MacBook Air is the least expensive portable Mac and has not seen any meaningful updates for a few years. The current MacBook Air uses a 13.3-inch non-Retina display, while the MacBook uses a 12-inch Retina. It could fit in either product line, though Apple may like the idea of product consolidation and the elimination of the MacBook Air product replaced by a new low-cost addition to the MacBook lineup. Stay tuned to find out. Aside from Apple mentioning in a 2017 interview that the Mac mini remains an important product, there has not been much buzz about a new mini coming our way. That is unless you believe Ming-Chi Kuo of TF International Securities who publish an investors note in mid-summer suggesting Apple will be updating most of the Mac lineup before the end of the year. The rumor suggests this will be a minor mini update, possibly a current generation processor, and dedicated graphics. Thunderbolt 3 would be featured along with USB 3.1 Gen 2 ports. Expect only minor cosmetic changes with the mini using the same form factor. The big news for the iMac will be an increase in graphics performance. Don't expect a performance gain as seen in the iMac Pro, depending on the configuration the fastest Mac you can buy. But a nice upgrade in performance never the less. A new Mac Pro was announced for release in 2018 though that has been pushed back to sometime in 2019 and except for a statement from Phil Schiller that, "We want to architect it so that we can keep it fresh with regular improvements, and we're committed to making it our highest-end, high-throughput desktop system designed for demanding customers." that's about all we know about the new Mac Pro. Processor upgrades that could have been used in Mac Pros have been available since 2014, but Apple didn’t seem ready for a new version that soon after the late 2013 Mac Pro release. Last year saw both NVIDIA and AMD release new GPU families that could be candidates for a new Mac Pro design, and the new Thunderbolt 3 interface is just waiting to be included. But what's really needed for a new Mac Pro is better thermal management which will allow for easier updates and more PCIe lanes. The current version has a total of 40 PCIe 3.0 lanes. Seems like a lot, but with dual GPUs each using 16 lanes, that only leaves 8 lanes for all the rest of the Mac Pro's interconnect. This explains why the current Thunderbolt 2 ports are shared, and there's only a single SSD for storage. But PCIe 4, which promises to double interconnect bandwidth and is likely to be used in a new Mac Pro, could solve the interconnect problems, allowing for multiple SSDs and removing some of the shared port structure. A new Mac Pro would replace the Thunderbolt 2 and USB ports with Thunderbolt 3 and USB 3 ports, and add the needed second SSD spot. I also expect the new 2018 Mac Pro will not be housed in the same cylinder, instead, a new format for the case will be used. But don’t expect a return to the classic tower case. Apple seems intent on diminutive desktops. Apple usually holds a September media event where new products and services aimed at consumers is announced. macOS Mojave is expected in late September as well as a new Mac portable mentioned above. The rest of the Mac updates, if they occur would likely occur later in the year with December being a likely timeframe. Stop back as the year goes on; we'll keep a tally on how well we do with our rumor predictions.